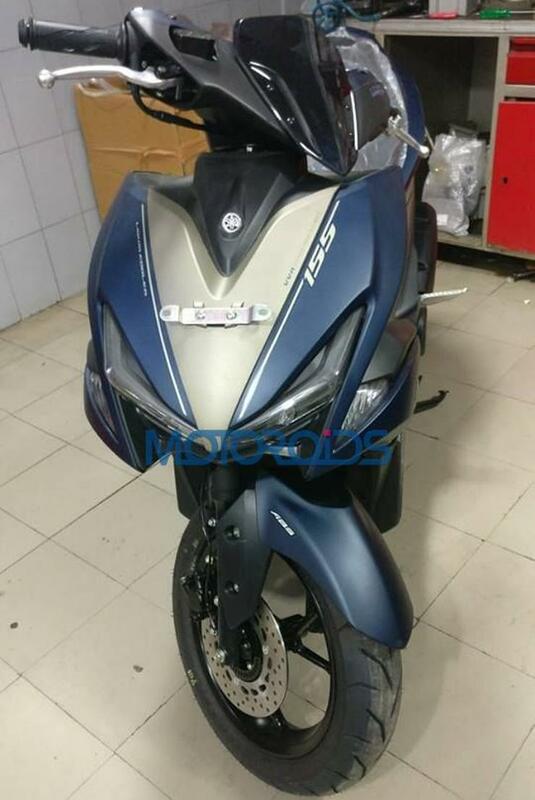 Yamaha Aerox 155 maxi scooter SPIED in India; Honda Grazia/Aprilia SR150 challenger? 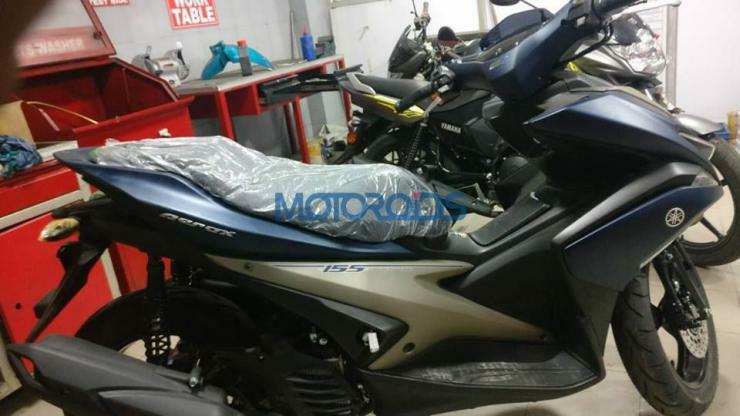 The Yamaha Aerox 155cc maxi-scooter has been spied at a dealership in India, giving rise to speculation that it’ll be soon launched in India. As the 2018 Auto Expo is just weeks away, Yamaha may even showcase the Aerox at this event. The Aerox was first globally showcased in late 2017 during the Malaysian MotoGP grand prix, and is already on sale in Vietnam and Thailand. In India, the scooter could rival the recently launched Honda Grazia and the upcoming Suzuki Burgman Street and the TVS Graphite. Direct competition in terms of performance will come from the Aprilia SR150. The Aerox is powered by a single cylinder, 155cc liquid cooled, fuel injected engine. This engine produces 14.8 Bhp of peak power at 8,000 rpm and a peak torque 14 Nm at 6,000 rpm. It gets a CVT automatic gearbox, and this makes it an effective tool for city streets. If launched in this specification, the Aerox 155 will be India’s most powerful maxi scooter. The scooter rides on 14 inch wheels, has standard ABS, features very sharp styling with LED headlamps, and has telescopic front forks. It’s expected to be very sporty to ride, and younger buyers will be the target audience for it. Yamaha may detune it and delete some features to make it cost effective for the Indian market. With Piaggio Vespas selling for nearly Rs. 1 lakh in India, there is a growing high-end automatic scooter market in the country. More and more scooter makers are now planning maxi-scooters, in order to attract high-end motorcycle riders who want a more convenient option for city streets. Also, these scooters will be logical upgrades for people upgrading from 100-125cc automatic scooters. Honda has already kickstarted the process with the Grazia. Other manufacturers will soon respond likewise.